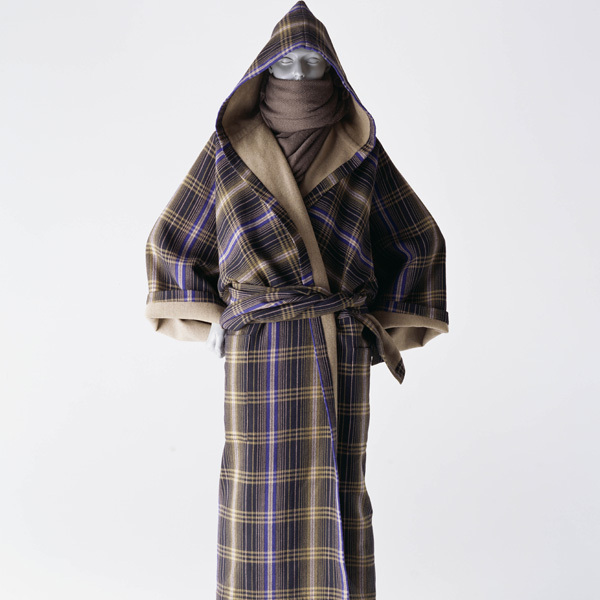 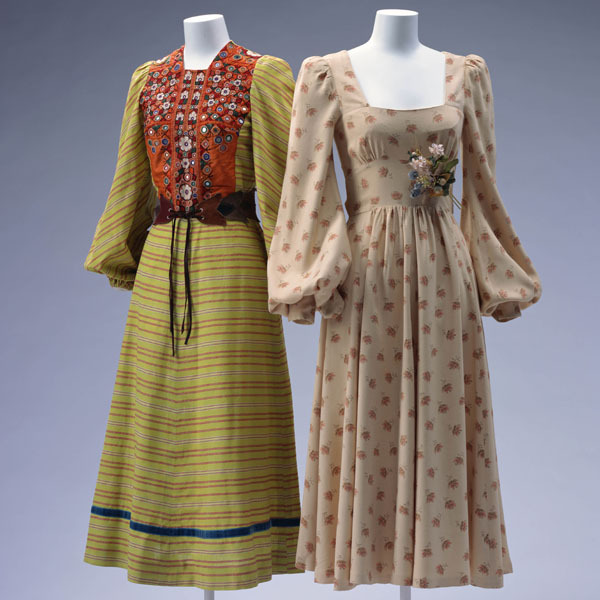 Dresses by designers in London, the capital of youth culture since "Swinging London" boom in 1960s, represents the mood of reminiscent of the past or exotic foreign cultures, as seen the nostalgic bishop sleeves in these dresses. 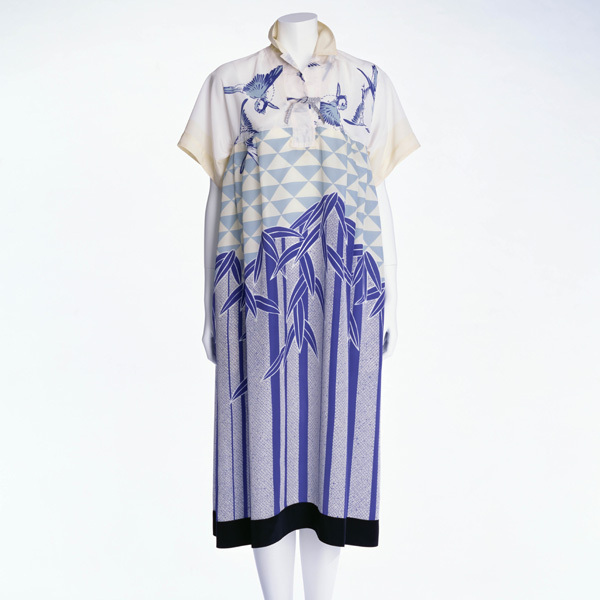 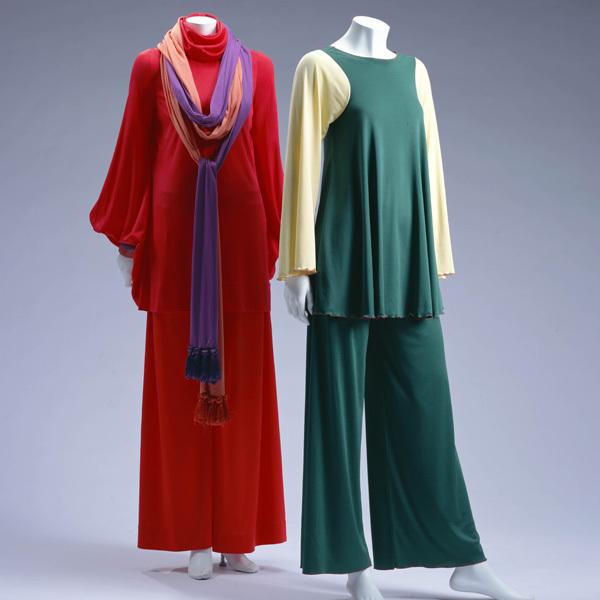 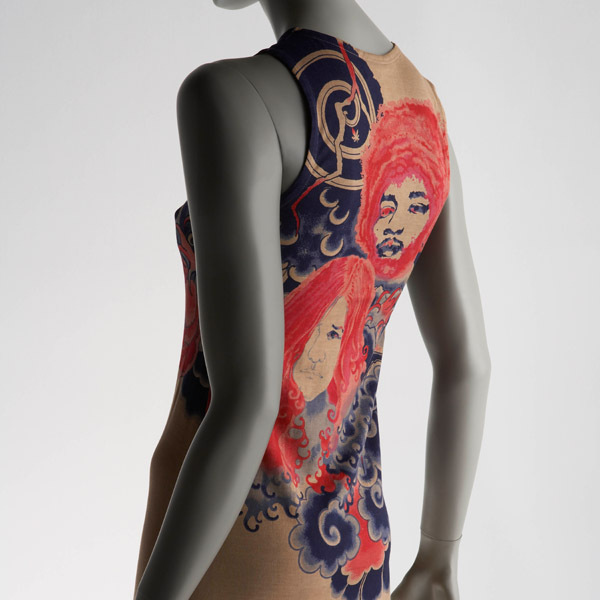 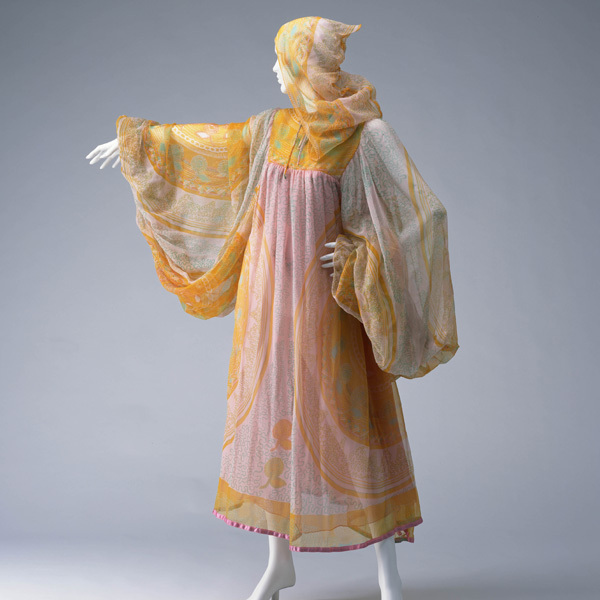 The dress on the right is from "BIBA" (1963–1976). 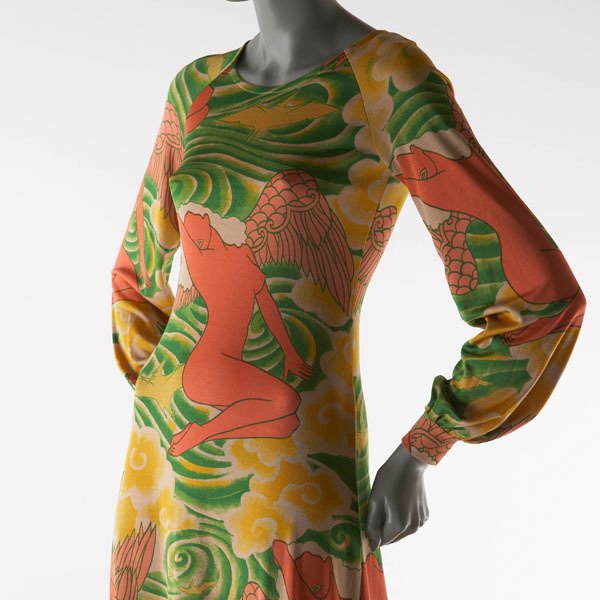 BIBA was Barbara Hulanicki's legendary boutique, which offered fashionable and reasonable-price clothes in original designs. 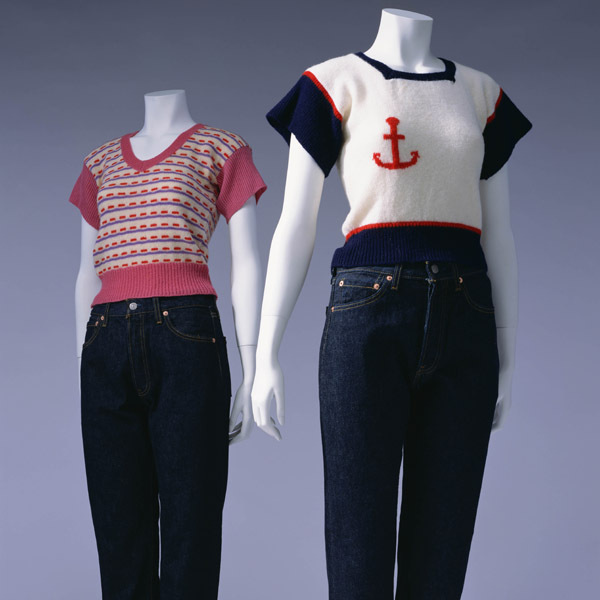 It was one of the first boutiques for youth, where rock was played at full volume. 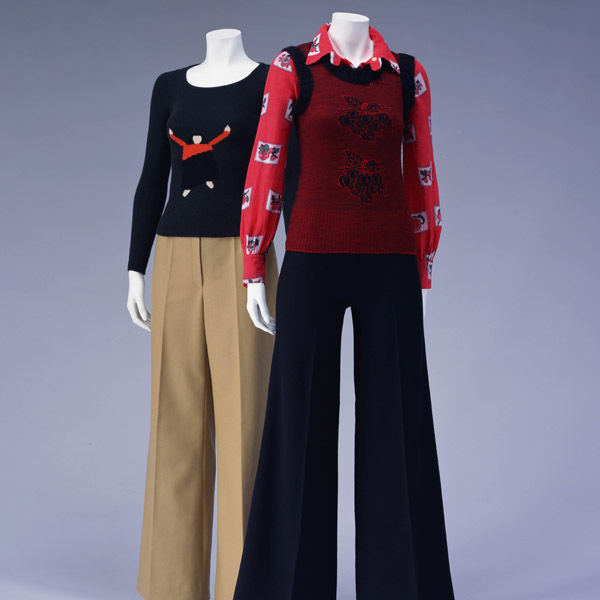 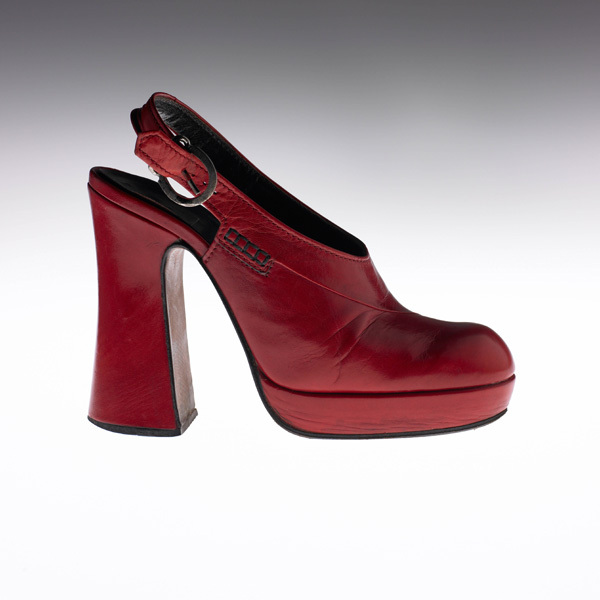 BIBA embodied the youth culture in London, getting a head start with the trend of young people who coordinated used clothes, and introducing the nostalgic "Retro Chic" fashion around 1970, to gain worldwide popularity. 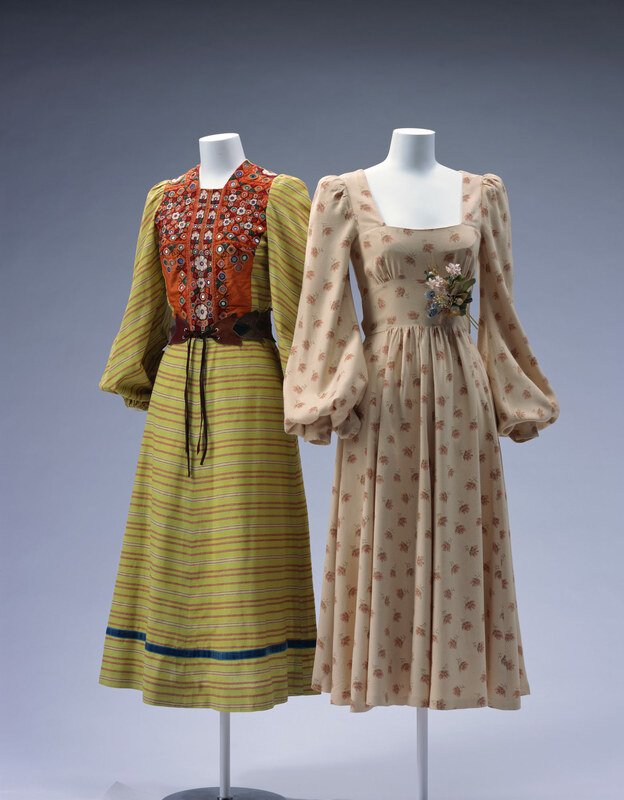 The dress on the left was created by Thea Porter, who was born in Syria. 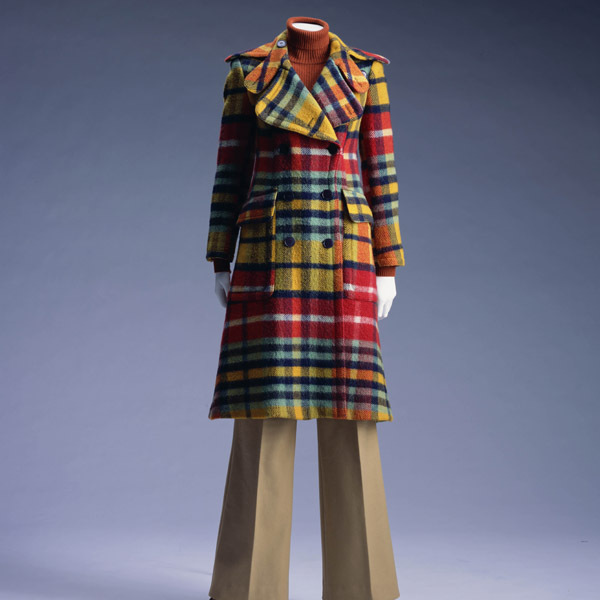 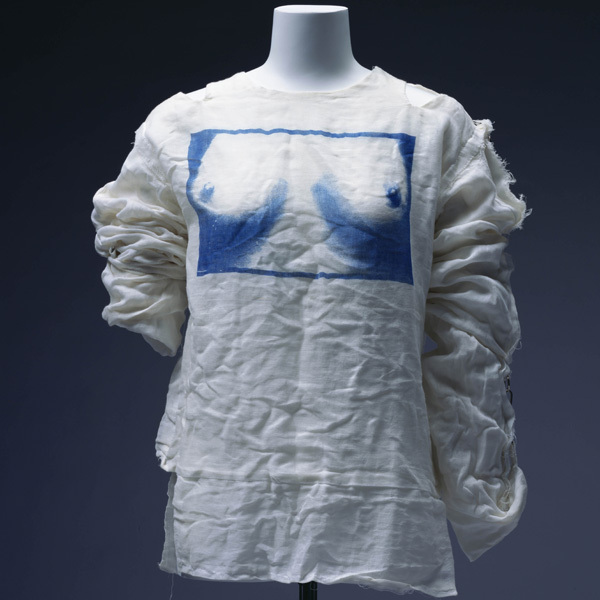 She became a full-fledged professional dress designer in London around 1967. 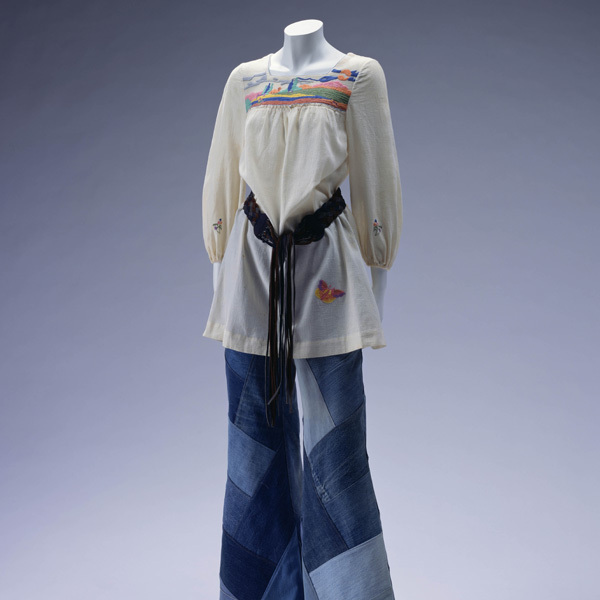 Focusing on ethnic materials and ornaments from the Middle East and India, she created her dresses with an orientation toward the hippie style.